Krishna Dress, Keerita, Baju Bands, Belt, Moti chest , Mala, Ear Tops, And Other Accesories available . 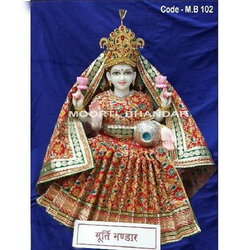 Keeping in sync with the latest market norms and policies, we are indulged in providing a high-quality range of God Statue Dress. We provide our special dresses made by hand embroidery and dedicated efforts, with new designs and patterns, updated every day. Regular dresses are also provided for the daily purposes. 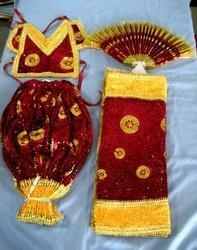 We are engaged in offering high quality Bhagwan Ki Paushak to our customer.